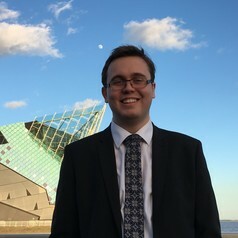 Joshua McMullan is a PhD candidate researching British nuclear power and its communication strategy in the 1980s. Exploring how the UK industry responded to incidents such as the Three Mile Island and Chernobyl incident through a range of different communication strategies. Other research interests in public communication more generally, risk (high-risk technologies), British politics, particularly the history of the Conservative Party. Joshua did his BA & MA at the University of Hull in History. He also worked at the Wilberforce Institute for the study of Slavery and Emancipation.